As we push ourselves into the second half of January, already, I'd like to say that I've got my 'ish together. Alas, it's so not the case. However! My birchox finally arrived this month so it's not a total loss. I was stoked to see that the theme was dedicated to what we want this year to be about. In the box was a sheet of stickers that you can choose from (below) and I chose "Strength". It's been a goal of mine for quite a long time to get fit. So fit, in fact, that I'd be walking around with a 4 pack. I want to fee comfortable running through Seattle in a sports bra. You heard me! This is the year for it. 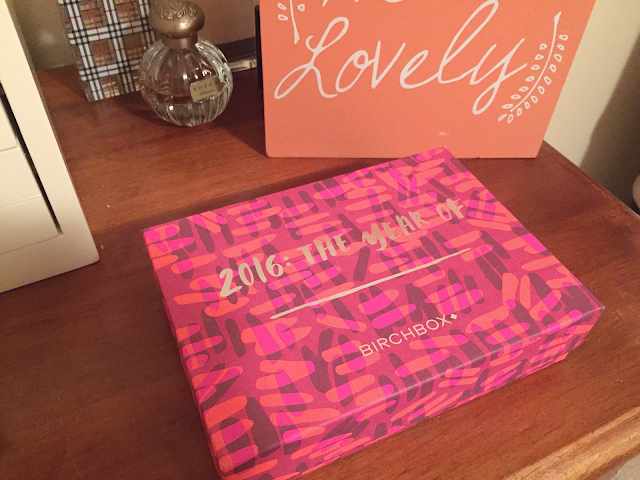 Now, I have been a member of Birchobx since December 2012 and a few of my posts have been on the company (Favorite Skin Care of 2015 and 5 Fall 2015 Lipshades). I am not affiliated with the company. They do not pay to tell you what I think about them. With that said, my heart would probably deflate just a little without my birch box every month. Here's the kicker for me. I always for get about it until it arrives at my door in it's beautifully decorated box. It's a sweet little gift I allow myself to have for $10 a month (+ tax). The Customer Service is insane and quite honestly, one of the main reasons I continue giving them my money every month. But! Most of all, it's makes me happy. The liquid eyeliner is Eyeko. It's a fat eye pen and it has amazing ratings. I tried to use it the minute I got the box. Let's just say I will be youtubing some of my favorite beauty vloggers on How-tos. I also got an AMAZING stain that smells like Strawberry LipSmackers. Do you remember those? Am I too ancient to bring them up? TonyMoly is right up my alley. Conveniently the lip shade comes in one color, Red. The remaining items are Ciate Nail Polish in Mineral Clarity, which I'm not very excited about. I wish I was but it's just not my taste. Key West Aloe Facial Cleanser, amazing for summer or a vacation. Plus 0.2 Meet your Destiny, smells better than I thought. I'll keep it in my gym bag to test it out. I'll still test out the nail polish, obviously. Maybe it'll last longer than the average coat! You never know. 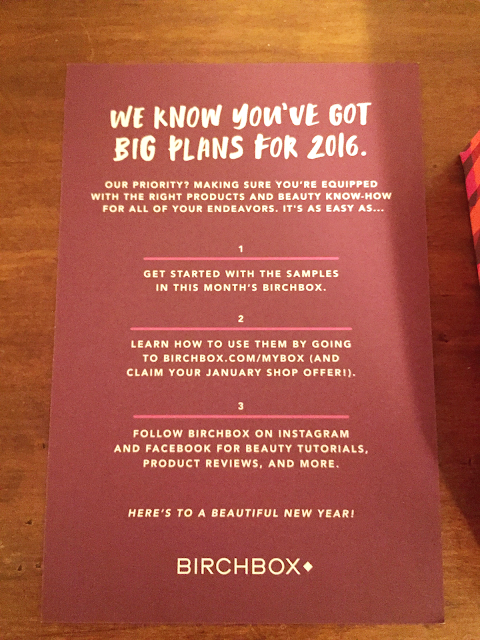 What are you making your 2016 about? ?